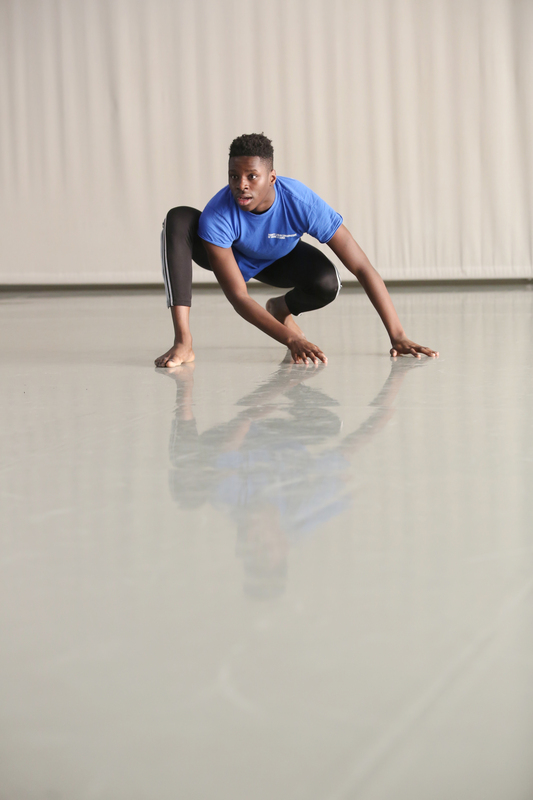 I am in my final year on the Trinity Laban CAT programme, having joined the programme in 2014 when I was in Year 11. Taking GCSE dance at school was one of the first times that I had experienced dance and I thought it was going to be street dance. Instead we did contemporary – it was very different to what I had thought it would be and I had to adapt, learn how to use the floor. Contemporary for me is much more free than street, it feels like you could fly. Who told you about CAT? My dance teacher at school told me about CAT. I had been to the Laban Building with my school and then started the Young Dance Ambassadors course. From here I auditioned for CAT. What has the CAT scheme taught you? CAT has obviously improved my dance technique but mostly as a person it has taught me that there are different kinds of people – we are the same but different at the same time. There is great respect for each other on the programme – ‘I’m not better than you’ and ‘You’re not better than me’ attitude. What are any of your future aspirations? To become a dancer and create my own dance company. What’s your highlight since starting CAT? The Alvin Ailey Intensive at Dance East in Summer 2016. That kicked me and I thought “Moses, you’re becoming a dancer today”. It gave me a taste of how it would be in a dance company, the way we worked. I love travelling to CAT on a Saturday and all the new things we learn each week. We go over exercises, so it gives me something to think about and work on for the next week. If you miss one week then the whole class has gone up a level. Which professional artists you have worked with whilst on CAT? Phoenix Dance Theatre came in and led a workshop before we watched their show, I loved that. We’ve also done tasters in Lindy Hop and Parkour. Do you have a message for anyone thinking about joining a CAT? Take everything that comes, every opportunity. When you think it’s impossible, just try it. I’m treating my auditions for Conservatoires at the moment as a normal class. Everything you do must be 95-100% – 95% is when you make a mistake. You have to make mistakes, the purpose of going to train is to learn, not to be perfect to start with.